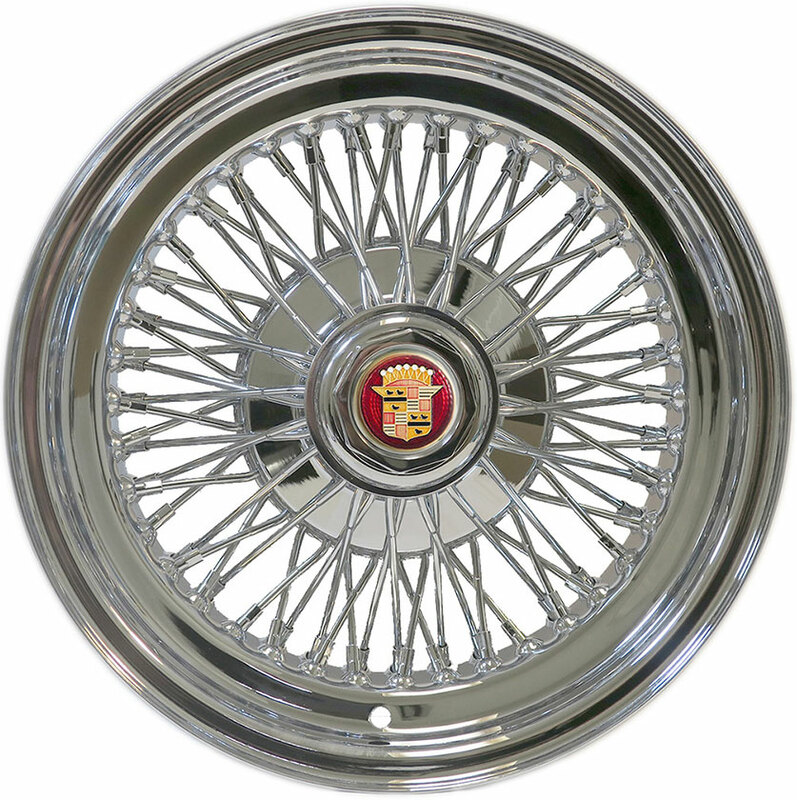 Special package includes Vogue brand, P235/70R15 whitewall tires with white and gold stripes. Professionally mounted and balanced. Ready to install. All accessories included. Shipping is not included. Will NOT fit on front wheel drive automobiles. Shown with the Hex style cap. Tires not included. ● From our Truewire® Division comes this all-new, 72 spoke, cross-lace wire wheel. ● Created for rear wheel drive Cadillacs built from 1957 to 1996. 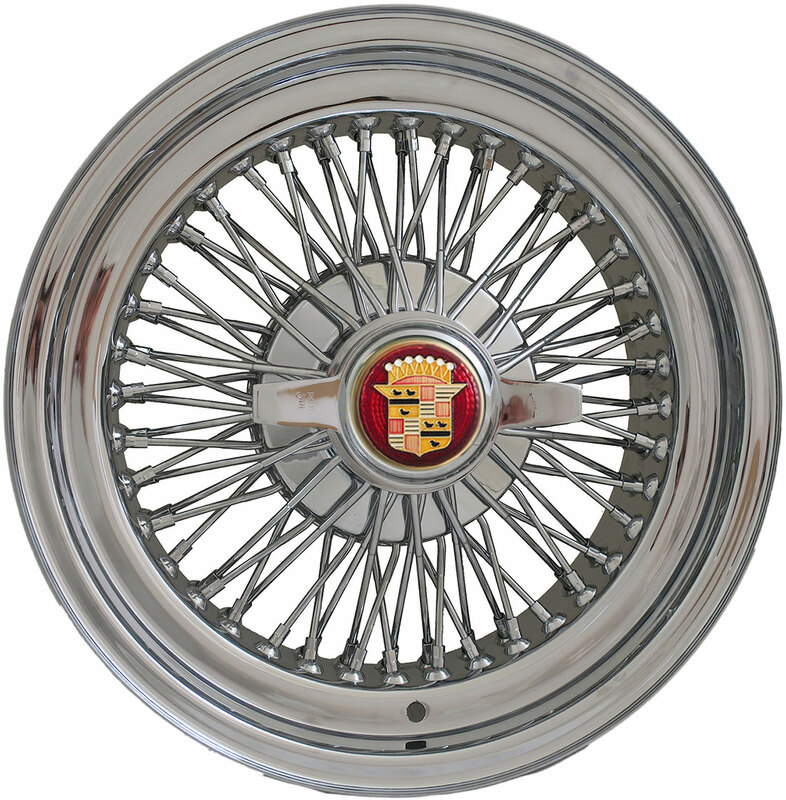 These wheels will not fit or work on front wheel drive or pre-1957 Cadillac automobiles. ● Chrome plated steel construction. ● This is a knock-off style wheel. These are not direct-bolt-on type wheels. The wheels come with bolt-on adapters. The adapter bolts on to your car and then the wheel slides over the adapter and is secured by the knock-off hub. ● Each set of four wheels comes with four wheels, four knock-off hubs, either the 2-bladed knock-off or HEX-style knock- offs, four Cadillac emblems, four valve stems and a hammer or wrench to fasten the knock-off. ● These wheels come with a 60 day limited warranty. 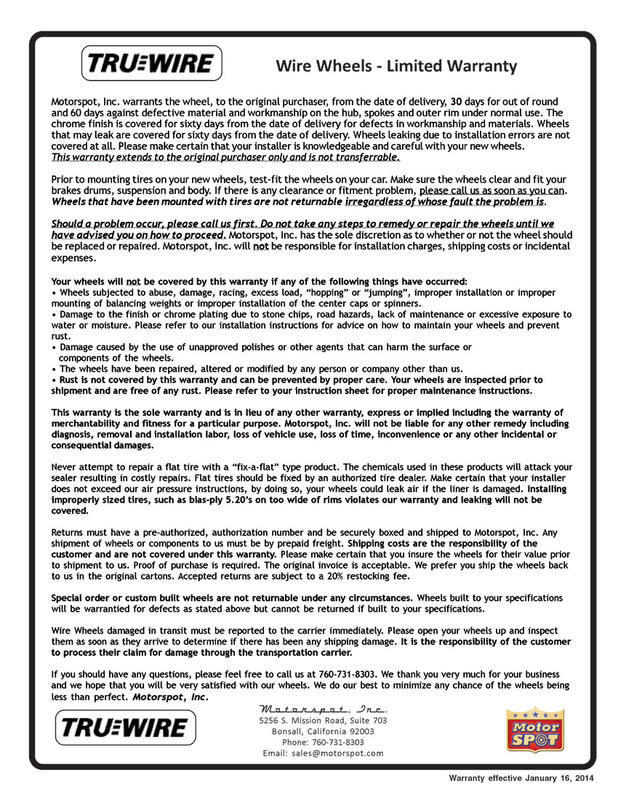 Please click here to review the warranty. ● These wheels are Truewire® brand and are made in China. The quality is very high, especially for the price. ● 15 X 7 inch size. ● Prices shown for wheels alone does not include tires or shipping. Wheel and wide or narrow whitewall tire packages are available at extra cost. ● Please email or call us for more information. 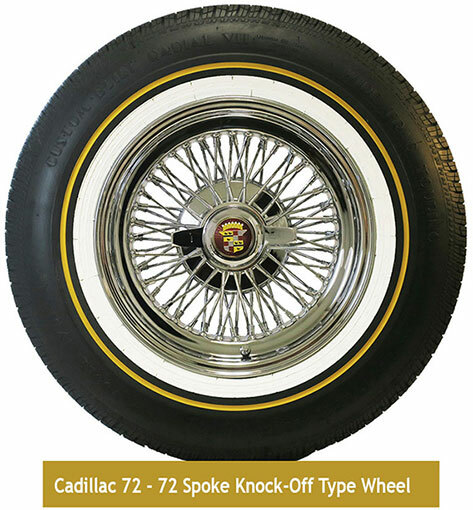 1969 Cadillac Coupe DeVille is shown with our Cadillac 72 wire wheels and American Classic narrow whitewall tires. Owner: Mrs. Joanne Silva. You may also email us at sales@truespoke.net and we can assist you in making a correct selection for your car and making payment arrangements. You may purchase on-line by clicking on the buy button. shipment until your check clears our bank.